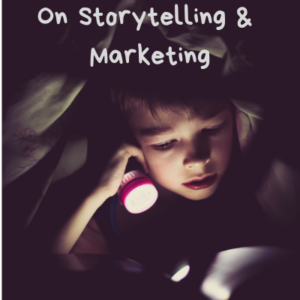 How does one describe brand story marketing anyway? During my time in college, I noticed a trend among my professors. Probably no one else noticed this, but I tend to have an eye for obscure patterns. I cannot give a percentage, because I was not that keen to setup graphs or charts back then. But, I can tell you that the majority of my professors shared this common practice, sitting while teaching. Not just sitting on a chair, but a stool. This was just one of the influences you see in my writing style. I typically use three points for my benefit. If I do not limit myself to three, then I tend to ramble (yes, even more than I do now). What I want to layout now is a case for three legs of the stool for brand story marketing. If you are going to sit in front of your audience and have the confidence that your story will make an impact, you must have a strong foundation. A foundation, like a stool, that withstands the weight on which you will sit and share your brand’s story. 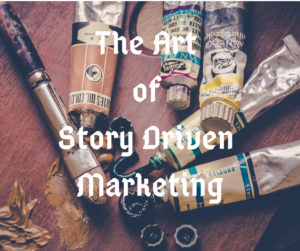 So, here we go again with three tenets you can use for every piece of marketing content you produce to tell your brand story. There are plenty of good ideas out there. As long as there are people starting blogs and brands, there will be more posts, videos, and articles. The vast majority of these will be ignored for the same reason, they do not change how anyone feels. 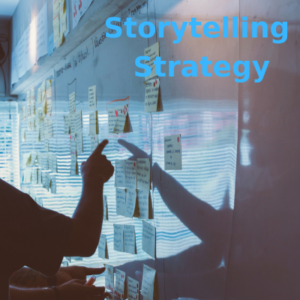 When you are building your brand’s story marketing platform, every piece of content must revolve around meeting the needs of your market. The needs that are being ignored by all the other marketers only interested in talking about what interests them. People are coming online to find the solutions to their problems every day. Every day, there are thousands of ads trying to get them to buy. 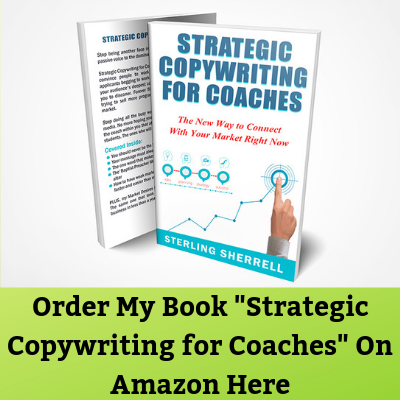 The one thing, the only thing, that will get your story noticed by people is if it fixes their needs. One of the things you can do to get ideas on what needs are unmet, is to use Google’s keyword research tool. Type in what you think your market is searching for and the tool will also list out dozens or even hundreds of other searches related to the original search. The volume may be lower, but you will be able to find searches that a segment is searching for that have not effectively been fulfilled. That is an example of what you can do. Why are there so many people surfing their phones while driving? They are always craving the new. New information, new images, new stories. In a world where there are so many consumers, they need to have content producers. 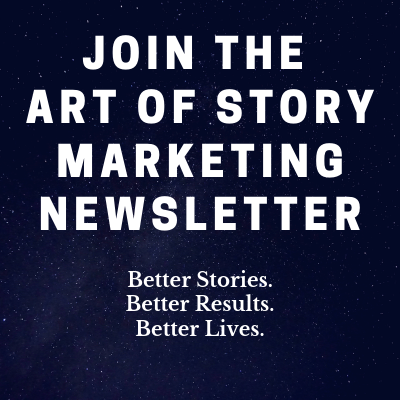 Any Brand story marketing must be built around delivering consistent content, if you are to not eventually be replaced. It is not enough to do a product launch every year, then leave your market. It is not enough for a brand to produce a series of content, not matter how epic, if only published sporadically. There are people looking for more information. If you are to lead your market they must be able to engage with your story as often as possible. There is never a thing as too much content. There is definitely a thing as too little content. Your brand’s life depends on producing content to your market every day. Do this right and all those people looking on their phones while driving are likely to be seeing your brand. Unlike the past, where knowing facts were valued, people today are looking for points of view. Talk radio, cable news, and podcasts are all based around markets connecting with like minded leaders with opinions. This should be a liberating idea. You do not have to sound like a scholar or another person. You can be uniquely yourself when you are talking about your brand story. Marketing is based on attracting people to join your community. So go ahead and make it YOUR community that you are building around. I have struggled with this in the past myself. One of the big beliefs I had was that I needed to be agnostic when it came to area of politics. I am more liberal in my views, but if I talked about those I would lose interest from more conservative readers. I do not go out of my way to talk politics, but I do not shy away from it wither. In fact, my marketing beliefs largely lie in my more liberal viewpoint. I think it is our duty to be generous and help others as much as possible. Yep. That is my point of view. Just like that sturdy stool my professors enjoyed sitting on during lectures, you brand story marketing is there to support you. If done right you will always have a foundation that lets you keep growing. If done wrong, you risk being lost in the crowd. In a world that endorses jumping up and down to get attention, it may well be the smartest thing to do to sit down instead. Sit on your three legged stool, and present the story of your brand. 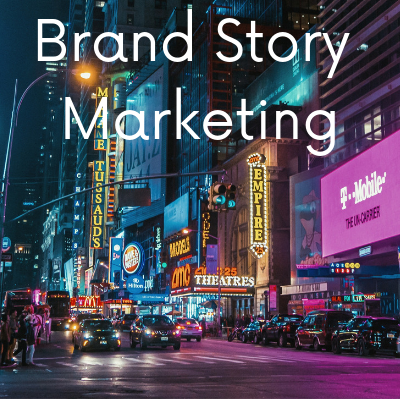 If you enjoyed this article on brand story marketing, please share it with your community.